Springtime in beautiful Quebec tastes like maple. 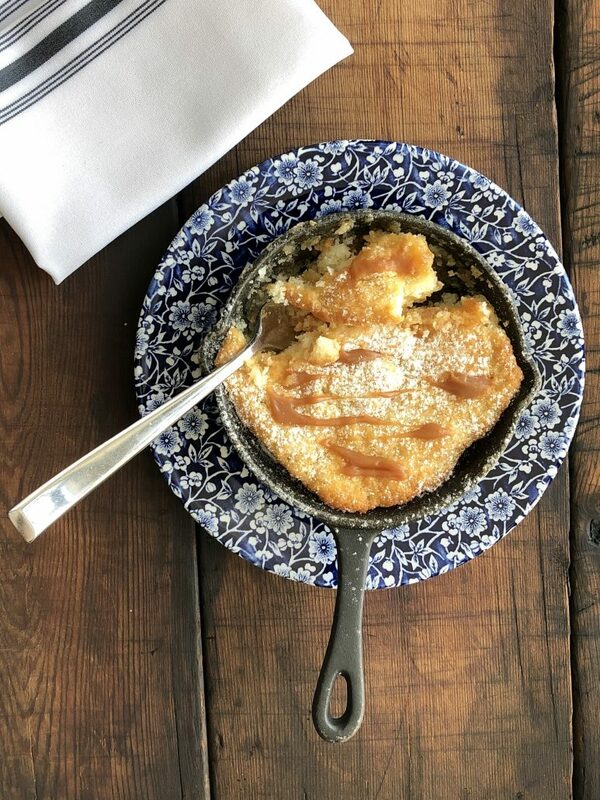 Here are a few ways to celebrate the sugaring-off season in our restaurants and boutiques! 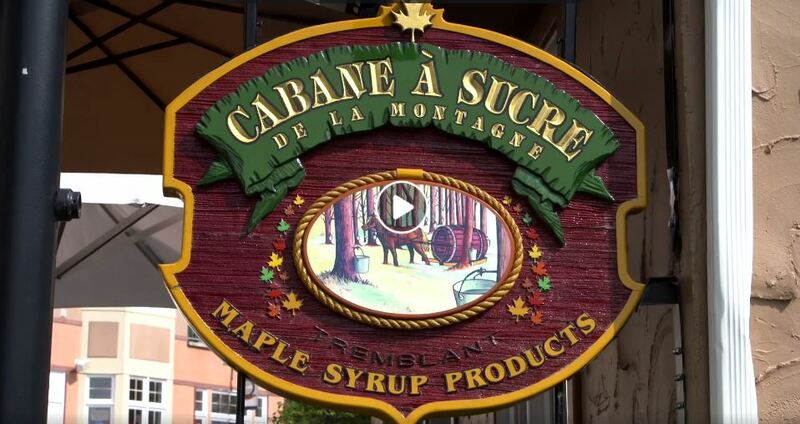 La Cabane à sucre de la Montagne: Maple products sold year-round! 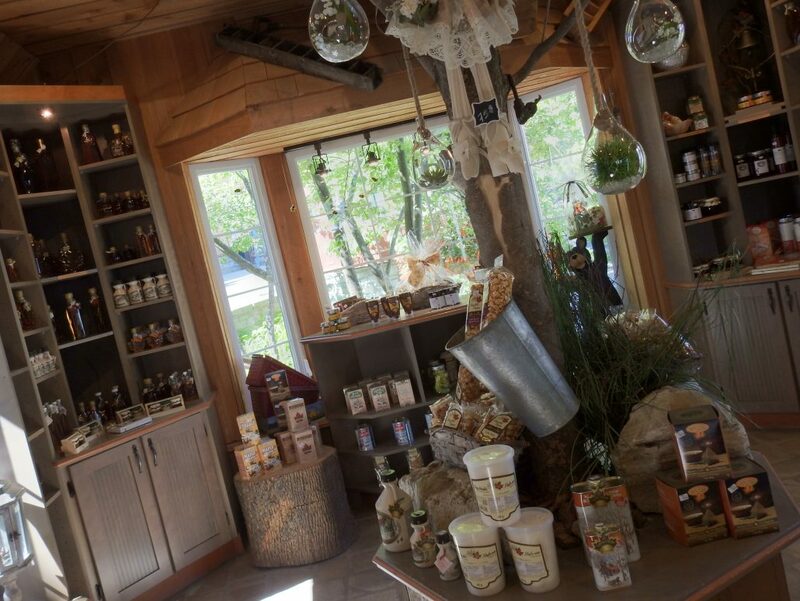 No matter the season, try the traditional tire (maple taffy) on snow and browse the many popular products (honey, jams, maple cookies and soaps). In the summer, discover the store’s best-kept secret: maple soft-serve ice cream. It’s to die for! 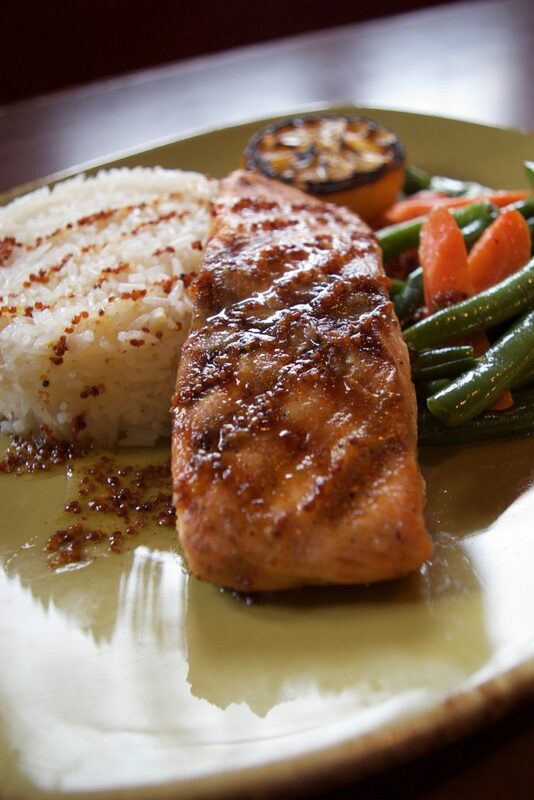 For your main course, try the maple and mustard glazed salmon. 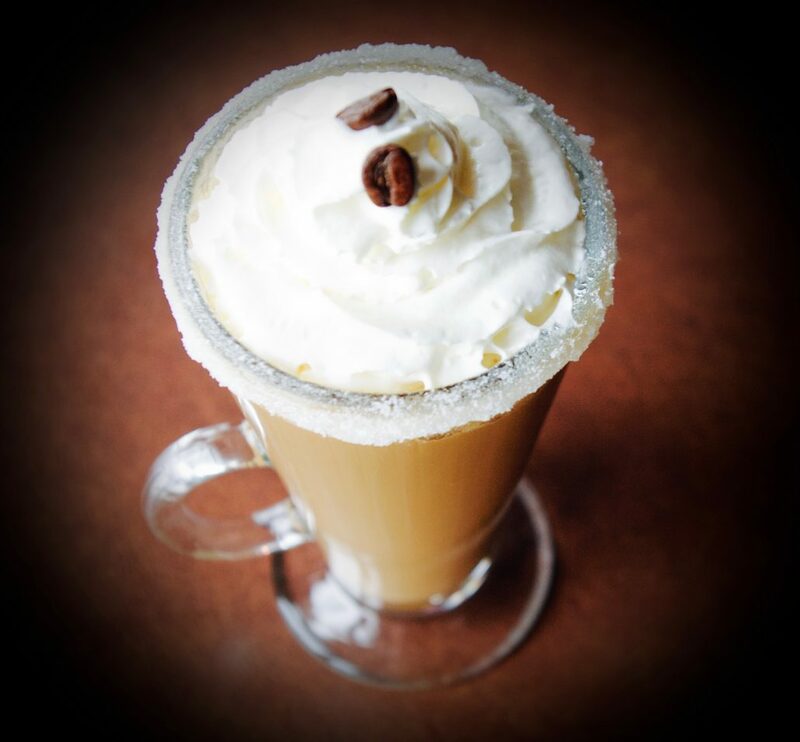 For desert: maple pouding chômeur and a coffee splashed with maple cream-flavoured Sortilège liqueur. 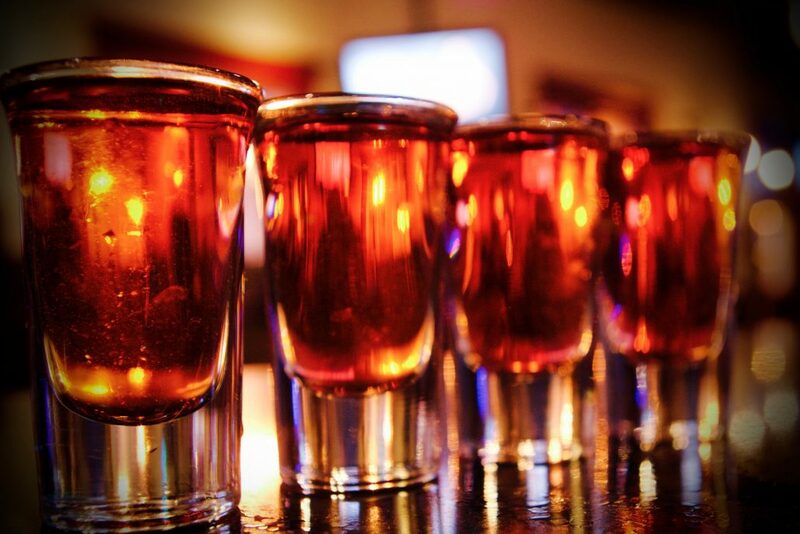 To finish off the meal: a L’érable en feu shooter. 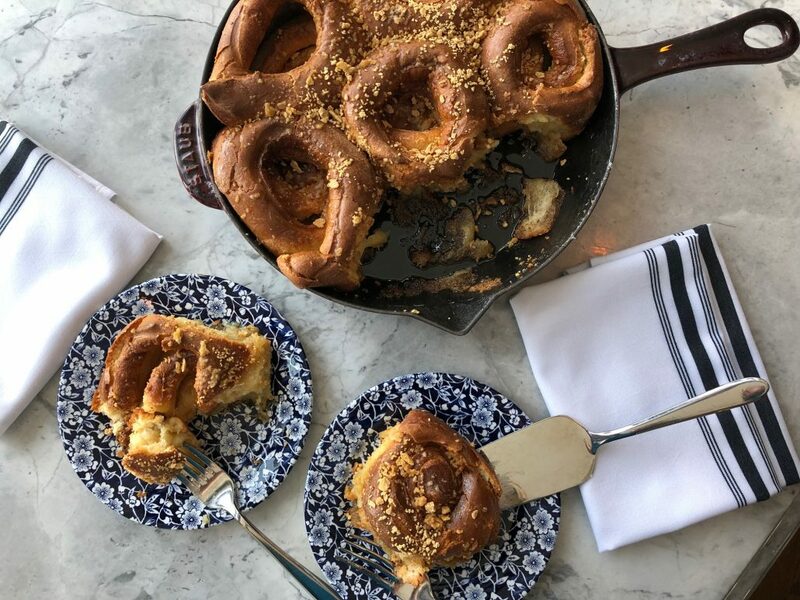 Try the maple-inspired specialties, including Le Comptoir’s famous crêpes with homemade maple butter. It’s back! 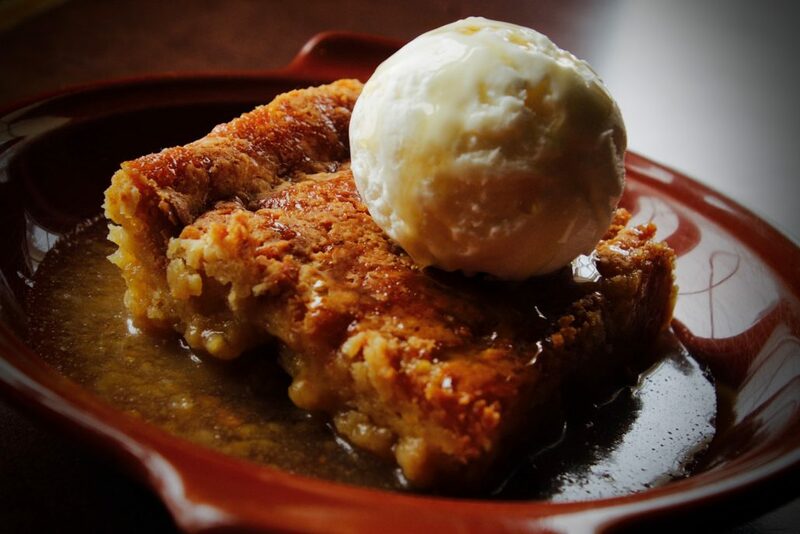 Decadent maple pouding chômeur with homemade maple ice cream. 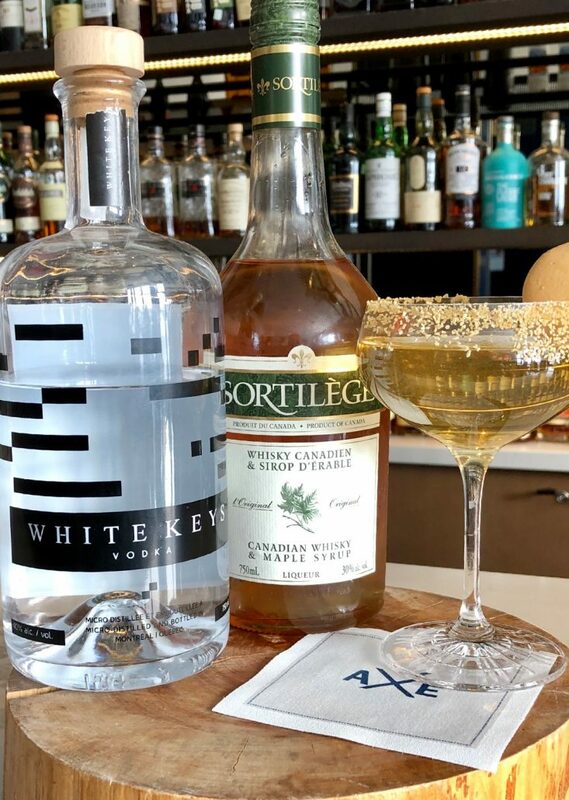 Two maple-flavoured cocktails: Mapletini (vodka) and Maple Old Fashioned. Mapleccino served with a maple biscotti. 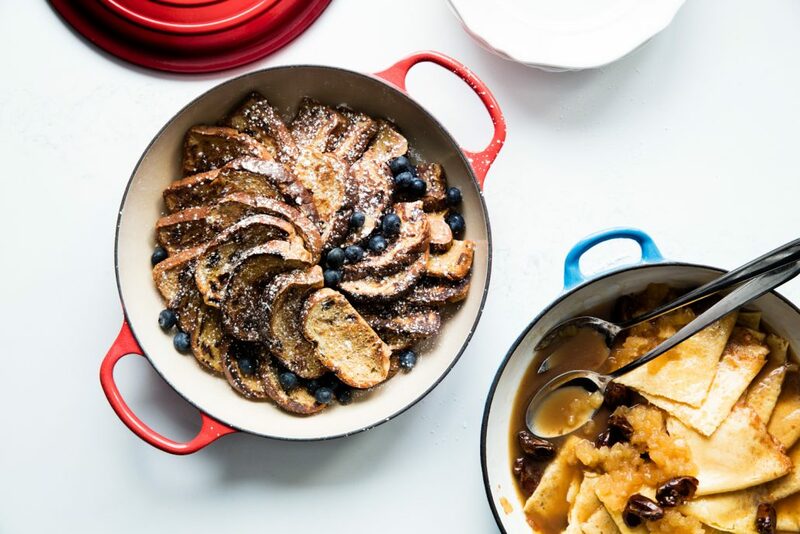 All espressos served between March 28 and April 30, 2019 are served with a maple biscotti. 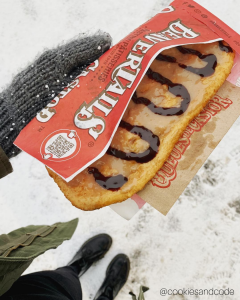 Named the “Québécoise”, this BeaverTails with maple spread and chocolate sauce drizzle is a truly delicious treat. 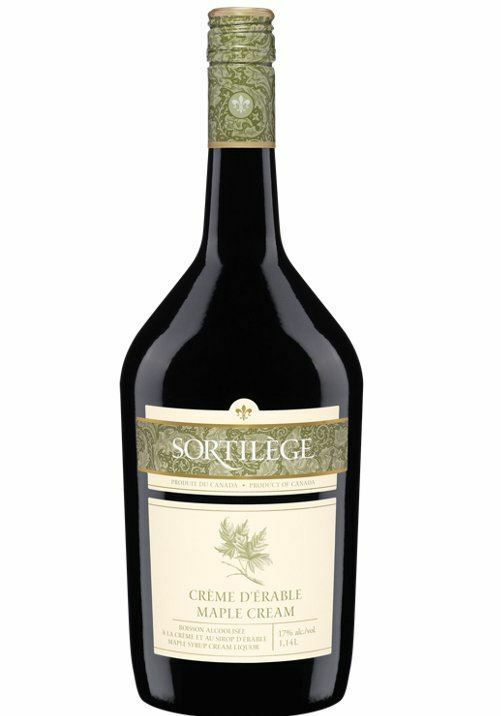 or Sortilège, a whisky-based maple cream liqueur. The latter also comes in blueberry flavour! 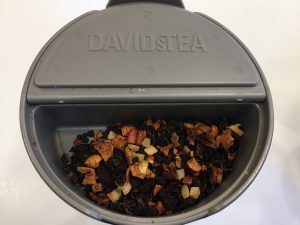 Tea lovers will appreciate the maple oolong tea recommended by the tea specialists at the DAVIDs TEA shop on Rue des Remplarts. 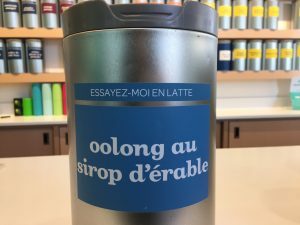 They suggest having it as a latte. Very tasty! 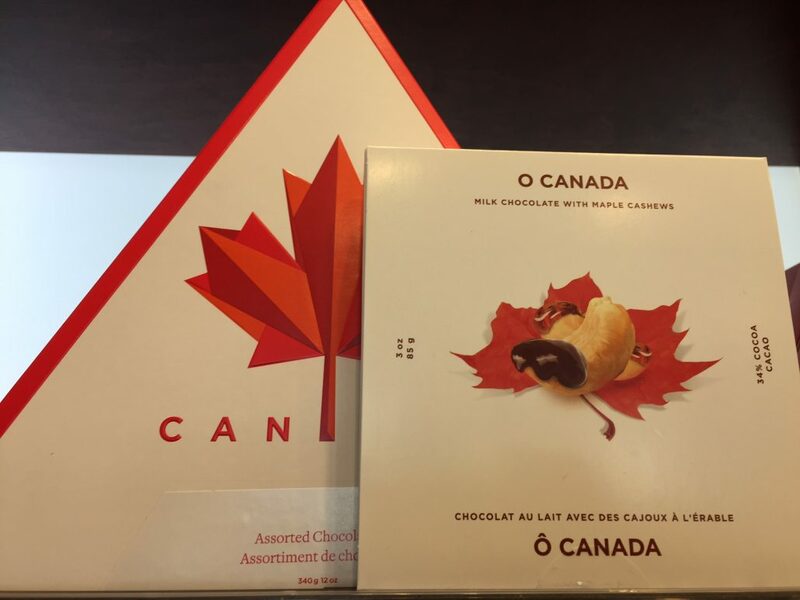 A tourist favourite, the Rocky Mountain Chocolate Factory offers maple cashew chocolates and an assortment of chocolates in Canada’s image, including maple chocolates. 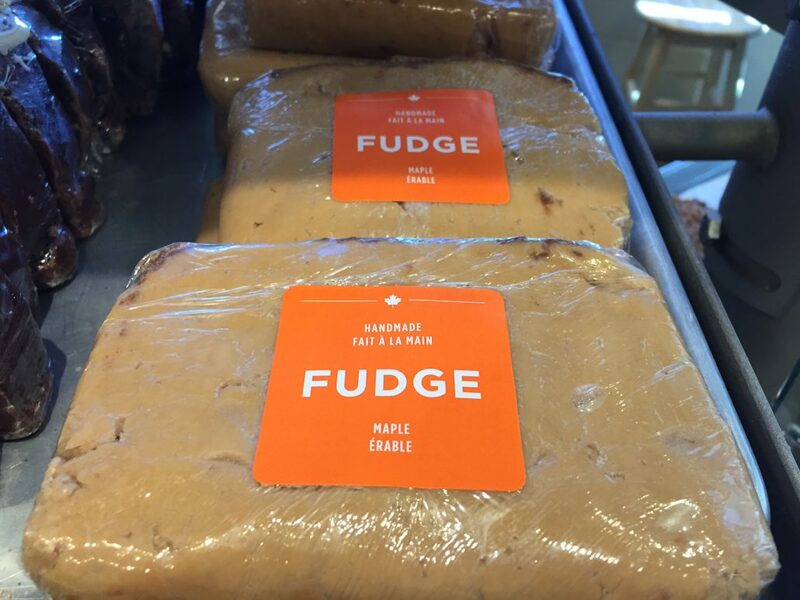 And be sure to try the mouth-watering fudges (including maple) for which the Chocolate Factory is known! 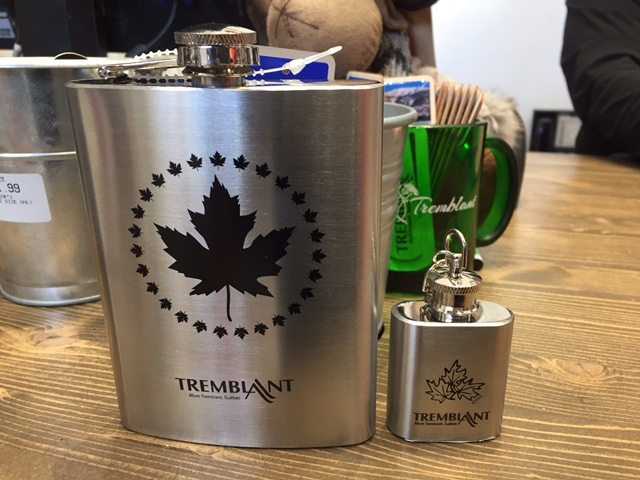 Tremblant & Co. offers stainless steel flasks and maple leaf refrigerator magnets. 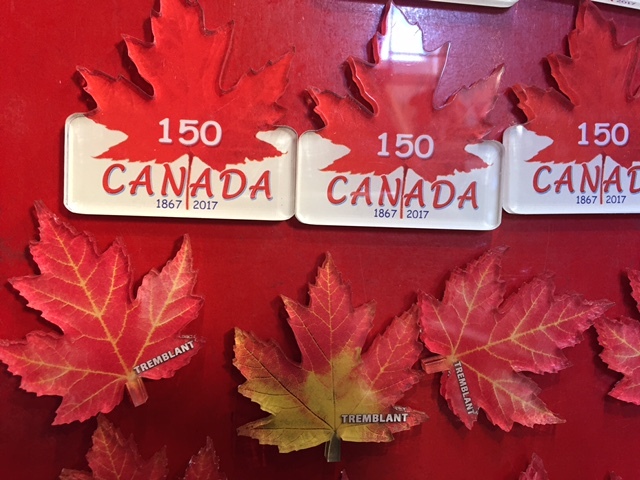 A souvenir of Canada that will remind you of the sugaring-off season! 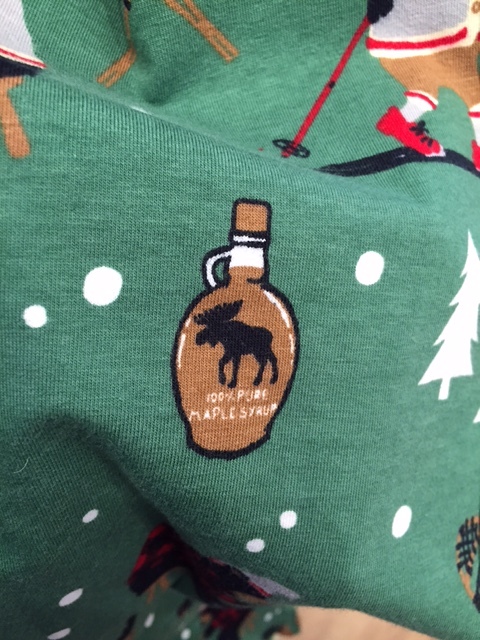 Known as the place to go for pyjamas for the entire family, Petite Maison Bleue offers men’s pyjama bottoms with a picture of a bottle of “100% pure” maple syrup, among other typically Canadian things. 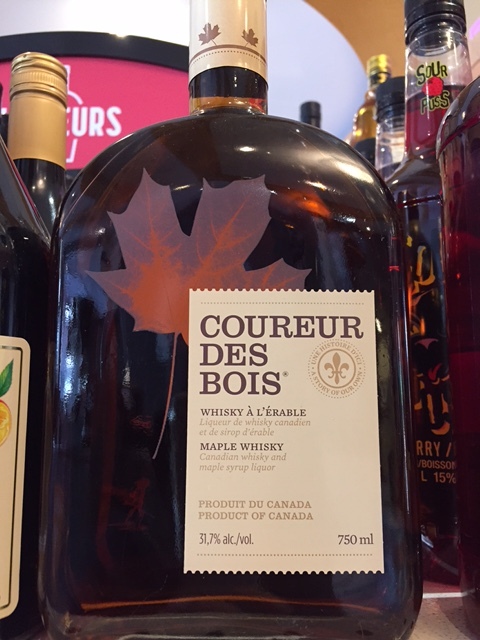 A cute nod at Canadian culture. 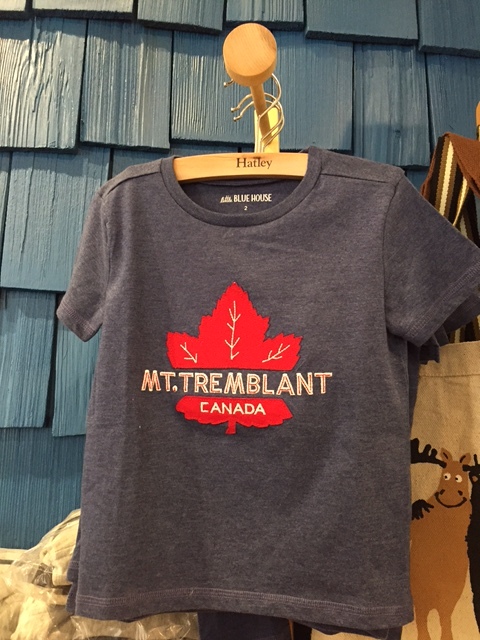 Near the cash register, you will also find t-shirts bearing the “Mont-Tremblant, Canada” logo, with the emblematic maple leaf! 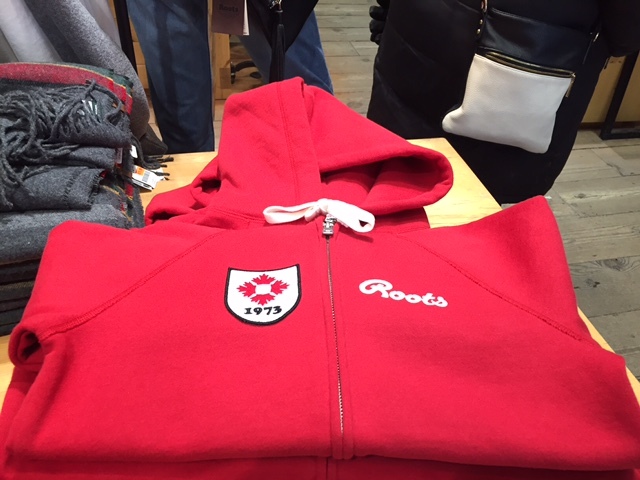 Canadian clothing brand Roots offers several Canada-themed shirts, jackets and sweatpants. We spotted this hoody with four subtle maple leaves on the badge, perfect for springtime in Quebec.